Find a new Jeep Wrangler at your local Anchorage, AK Jeep dealership. 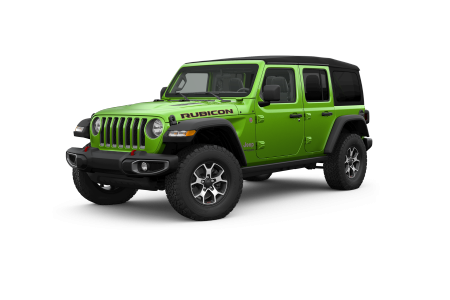 View NEW Jeep Wrangler Inventory	Looking for a USED Jeep Wrangler? Overview Anchorage Chrysler Dodge Jeep Ram Center is your local Jeep dealership in Anchorage, Alaska, with a striking inventory of new cars and used vehicles. If you're looking for an SUV with the capability to make every outdoor adventure extraordinary, look no further than the new Jeep Wrangler. With Best-in-Class off-road capability and superior engineering, it's no wonder the Jeep Wrangler is the go to car for all your 4x4 adventuring. The powerful engine packs a punch with immense horsepower, giving you the confidence to tackle even the toughest terrain. Every Jeep Wrangler comes with a washable and durable interior with drain plugs, making it easy to clean up, so you don't have to worry about mud or spills during your next weekend adventure. If you're ready to take back the outdoors, the Jeep Wrangler is the car you've been looking for. Visit our Anchorage, AK Jeep dealership today for an exciting test drive. Why Us? The team at Anchorage Chrysler Dodge Jeep Ram Center aims to provide top-notch customer service to our Anchorage, AK customers. Our knowledgeable vehicle sales team is ready to answer any questions about any of the models from your favorite brands in our vehicle inventory. When it's time to figure out financing, our automotive finance experts can help you find the car lease option or auto loan that fits your budget. Give us a call or stop by our Anchorage, AK Jeep dealership today to see what we're all about! When it comes time for your next vehicle maintenance appointment, look to Anchorage Chrysler Dodge Jeep Ram Center to keep your vehicle in top shape. For routine auto maintenance, our Express Lane can get your vehicle back on the road quickly, even on a Saturday. Our automotive service center also offers tire rotations, engine tune-ups, and more serious car repairs. Schedule your next vehicle maintenance appointment today with one of our certified car technicians in Anchorage, AK.